However, one of the bigger things that has been taking time is the search for a new apartment. Dave & I have been living in some kind of student apartment, and since David is finishing his studies this summer, we have to move out. We found a very nice apartment and I can’t wait for the moving in July. Easter Selfie! 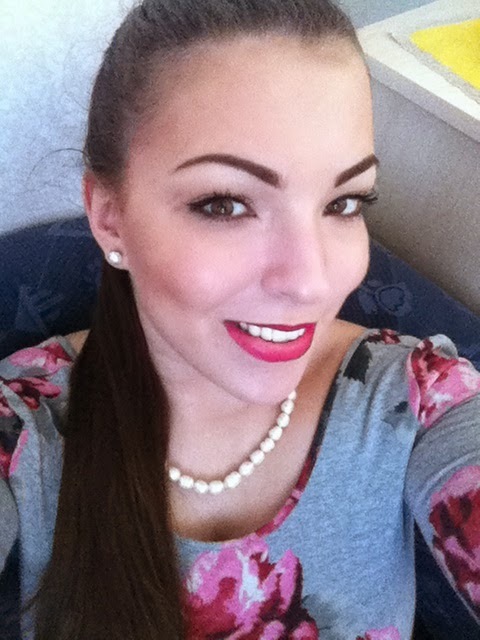 Wearing “Pleasure Bomb” lipstick by MAC from the Riri collection. We spent a lovely Easter weekend with David’s mom and his younger brother. It involved some good food and I’m really glad that Dave’s mom is respecting our diet habits with eating healthy and clean. 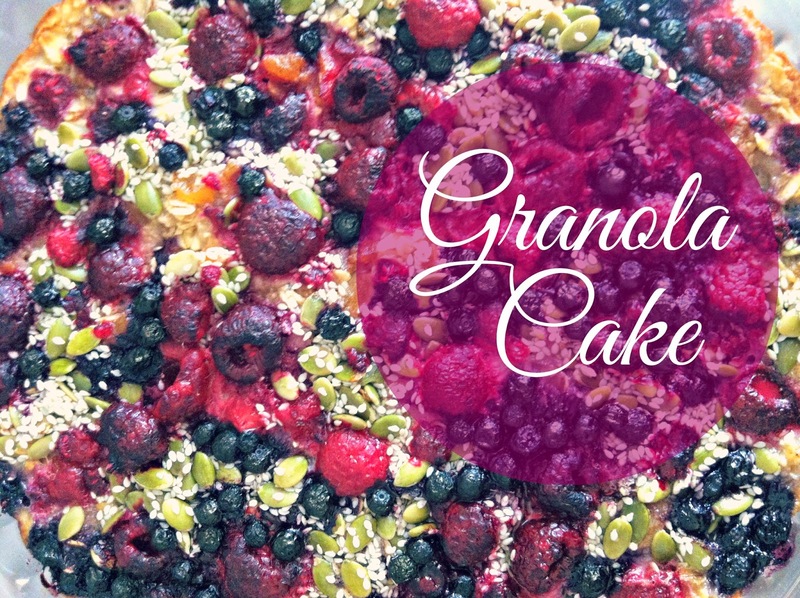 Here I wanna share a lovely & guilt free Granola Cake recipe with you guys. No sugar, no gluten, no crap – amazing taste! Mix all the dry ingredients together and put in a pie form. In a bowl mix the eggs, honey and milk together and pour over the dry ingredients. Now combine the ingredients of the topping and divide equally over the pie. 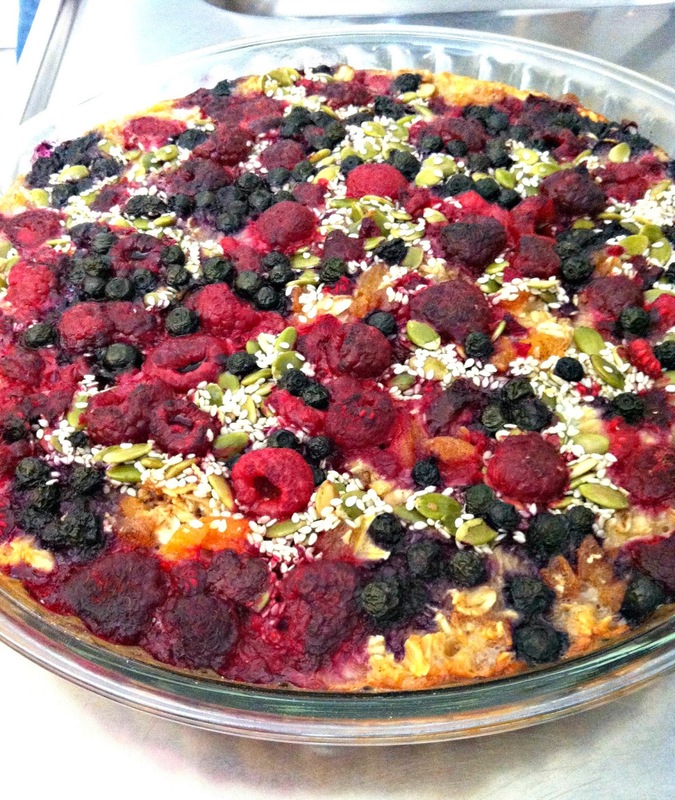 Put as many berries as you want on top and bake for 30-40min until golden on the sides. Done!